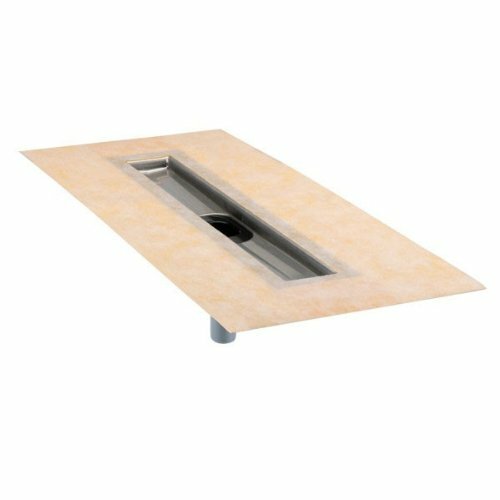 Schluter KERDI-BOARD-SC Shower Curb 48"
Schluter KERDI-BOARD-SC Shower Curb 38"
Schluter-KERDI-BOARD-SN is a prefabricated shower niche that is fully sealed, quick to install, and integrates with KERDI and KERDI-BOARD shower assemblies. 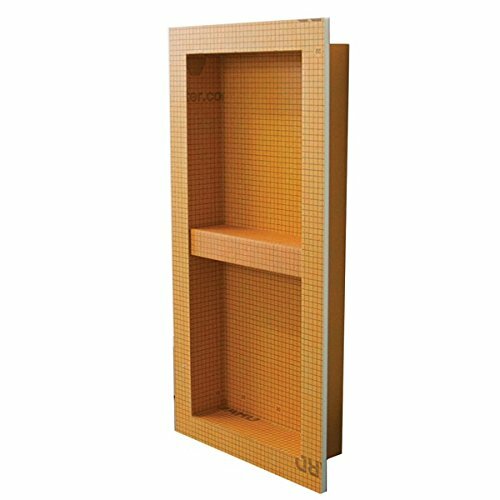 Includes a KERDI-BOARD shelf that can be installed at any height to create separate compartments within the niche. 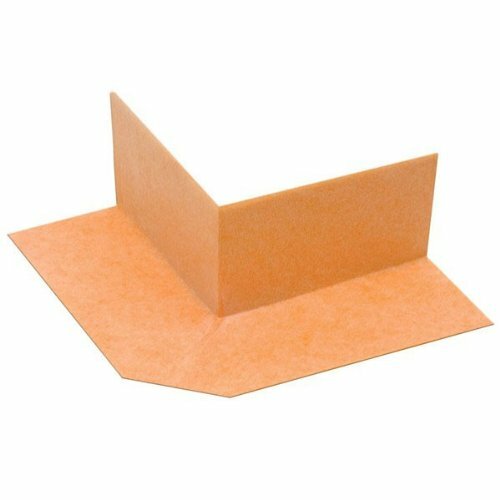 Schluter-KERDI-KERECK-F is a pliable waterproofing membrane strip designed to waterproof corners in bath and shower installations. It is covered in an anchoring fleece on both sides, allowing it to be set in place with thin-set mortar. 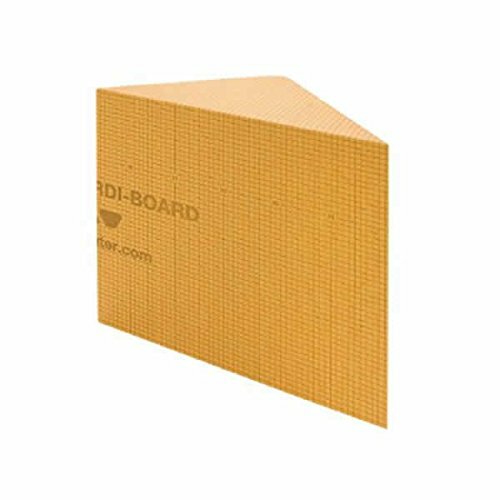 Product Features Vapor Retardant The Schluter-KERDI waterproofing membrane has a very low water vapor permeance, making it an excellent waterproofing membrane for shower, bath, and steam room installations. 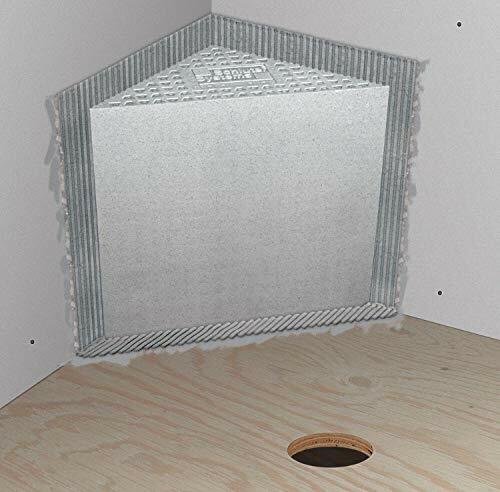 Shaped to Corners The Schluter-KERDI-KERECK-F waterproofing membrane fits seamlessly into corners, eliminating the need to cut standard KERDI membrane to fit tedious areas. 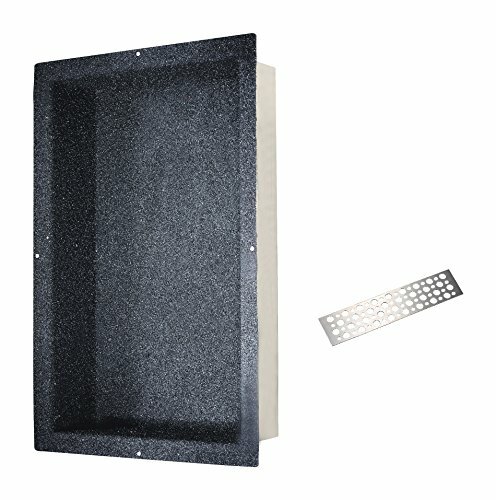 The KBSB410TA is a prefabricated shower benchmade from Schluter's KERDI-BOARD. With a pre-sloped surface to prevent any water from pooling up, a pre-applied Kerdi waterproof membrane, and included waterproofing corners, the KBSB410TA shower bench includes everything you need for a waterproof installation. In addition to being waterproof, the KBSB410TA is also light weight and stable, making it the perfect addition to your Kerdi Shower system. Product Features Ready for Tile The KBSB410TA Shower Bench comes waterproofed and ready for install. Just install it in the shower where you want it and apply tile. 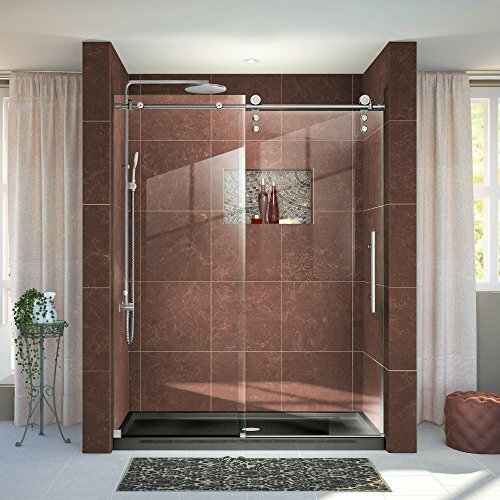 Designed to integrate with the Schluter -Shower System It is designed to integrate with KERDI-SHOWER, provide handicapped accessibility, and can be tiled upon to create a completely waterproofed design. Easy Installation The triangular bench includes preformed 135 KERDI-KERECK inside corners, as well as right and left KERDI-KERS-B bench corners to simplify waterproofing connections at the wall. Schluter -KERDI-BOARD-SC is a prefabricated shower curb, made of KERDI-BOARD, for use in conjunction with the Schluter -Shower System. KERDI-SHOWER-SC is waterproof and ready for tile, leaving only sealing of joints and corners to complete waterproofing. 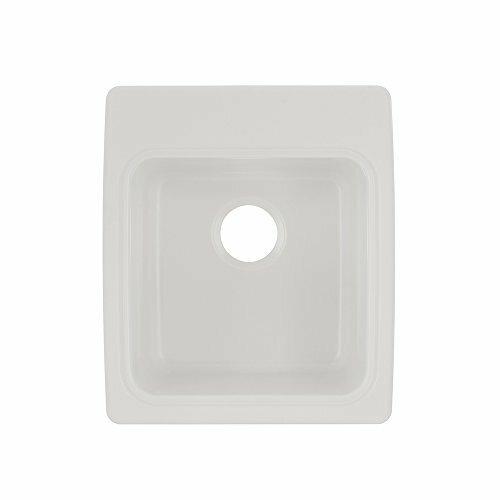 The curb can be used in conjunction with KERDI-SHOWER-ST shower trays or mortar bases. 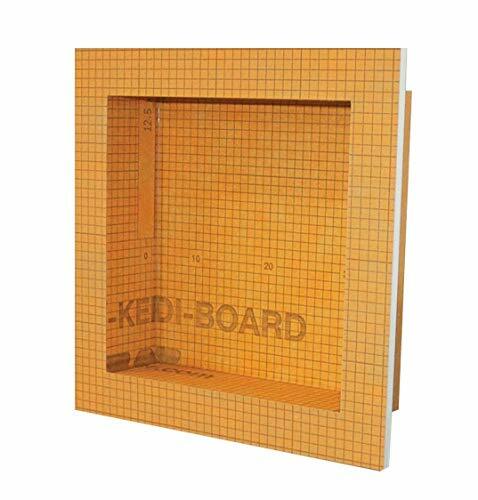 Schluter-KERDI-BOARD-SN is a prefabricated shower niche that is fully sealed, quick to install, and integrates with KERDI and KERDI-BOARD shower assemblies. 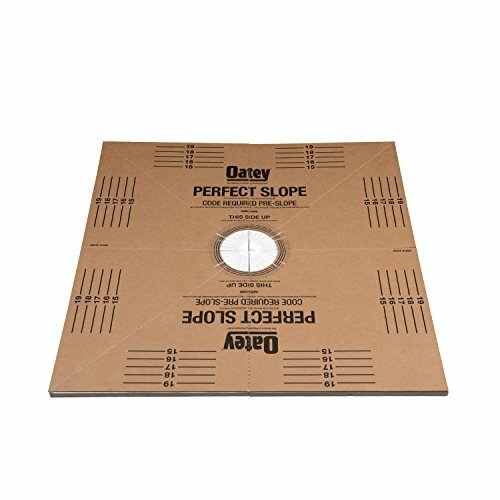 The KBSC 115 150 970 is a prefabricated shower curb made from Schluter's KERDI-BOARD. 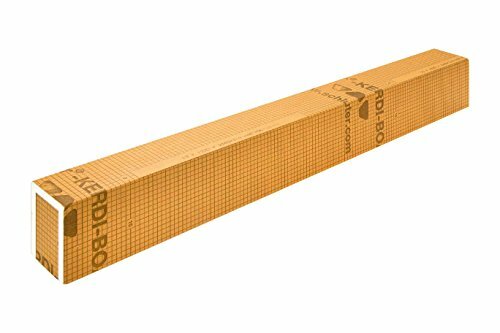 Simply seal the curb to the shower base and walls using KERDI-BAND waterproofing strips and KERDI-KERECK preformed waterproofing corners for a seamless, waterproofed shower curb. Product Features Ready for Tile The KBSC 115 150 970 Shower Curb comes waterproofed and ready for install. Just place the curb, seal the seams, and apply tile. Designed to integrate with the Schluter -Shower System It is designed to integrate with KERDI-SHOWER and can be tiled upon to create a completely waterproofed design. Cut to Fit The Schluter shower curb can easily be cut to fit any size shower that you have. 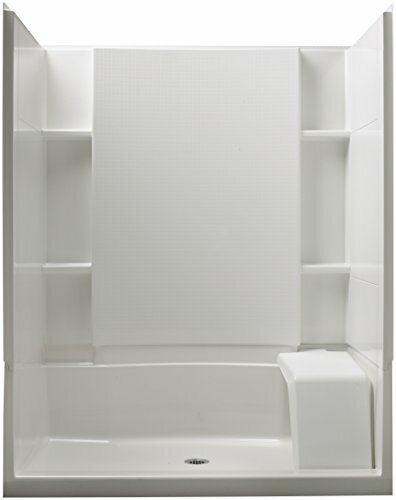 Dawn shower niches offer practical convenience by providing an ideal space for shampoos and soap. 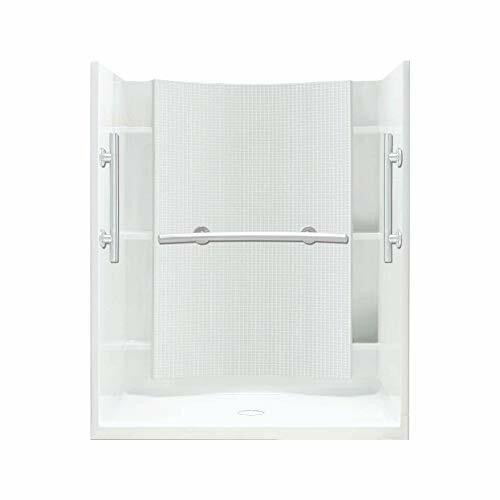 Featuring waterproof functionality, not only do our niches save space, but they can be tiled to match the surrounding shower walls; bringing it all together to make your shower look complete and designs to provide extra area for your spaces. For use on tile shower installations and must purchase 40 x 40 base seperately. Maximum Dimensions are for tile shower installations up to 40 x 60. Brand: DreamLine | Manufacturer: Dream Character, Inc. The beauty of traditional meets the fresh look of modern. Made of solid Viral material, the four piece modular design is easy to install, with caulk-less seams and snap together walls. The seat makes this shower ultimately versatile. Take your outdoor room to the next level with this decorative yet practical vinyl outdoor shower enclosure. Inside dimensions are 36in x 36in x 93in tall, outside 61-5/8 wide x 88.75in tall. Whether you want to rinse off the sand from the beach or the chlorine from the pool, this shower enclosure will enhance your backyard. 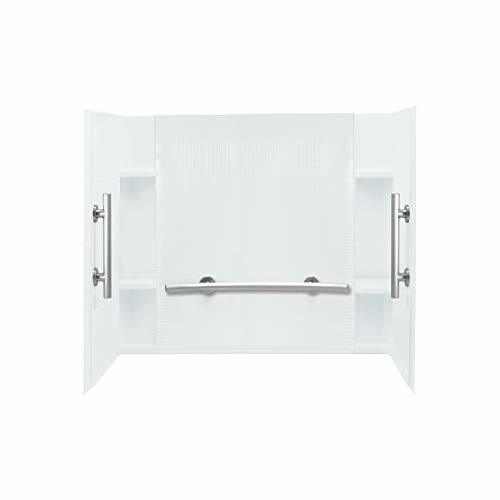 For additional privacy, you can purchase a shower curtain & hooks to attach to the included shower curtain rod. 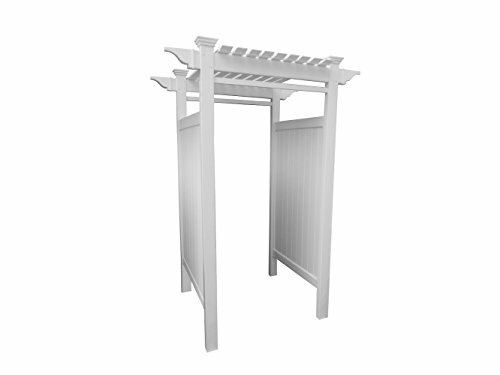 Crafted from premium weather resistant vinyl, this structure will look new for years to come- & all with virtually no maintenance. Showerhead/plumbing/curtain/curtain hooks sold separately. Lifetime Warranty means it won't crack, warp, yellow, splinter, or rot. Crafted with Premium weather resistant vinyl. 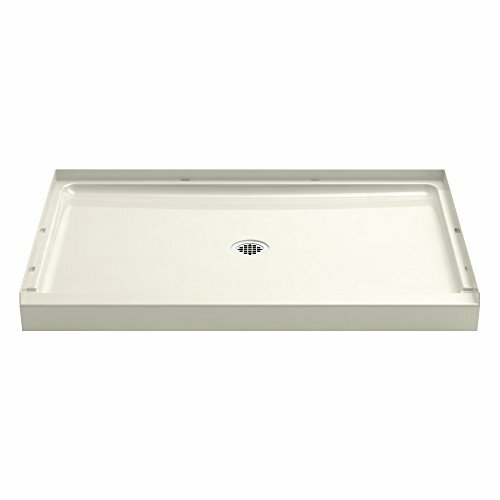 Swan solid surface compact utility sink has a 7 gal. Capacity and installs into the countertop for an Upgrade laundry room look. The 10.5 in. Deep tub provides plenty of work space for even the toughest of tasks. The flat deck allows for a variety of faucet applications and will accommodate either 4 in. Or 8 in. Centers. Includes countertop installation hardware and complete installation instructions. Requires a standard-sized 3.5 in. Drain (not included). an upgraded countertop laundry tub in a compact size; ready for even the toughest jobs renewable solid surface is easy to clean and will not wear away accommodates the faucet of your choice; 4 in. And 8 in. Centers are marked on the underneath side of the faucet deck but not drilled flat faucet deck allows for a variety of faucet applications easy-to-install, Drop-in tub provides an upgraded laundry room look mold and mildew resistant with no surface coating to chip or crack compression-molded with high impact resistance from heavy objects manufactured from solid surface material which is heat resistant to 450 wide faucet deck provides room for soap or cleaning supplies available in white or midnight sparkle. PROVA-MAT is a waterproofing Polypropylene membrane for walls and floors. 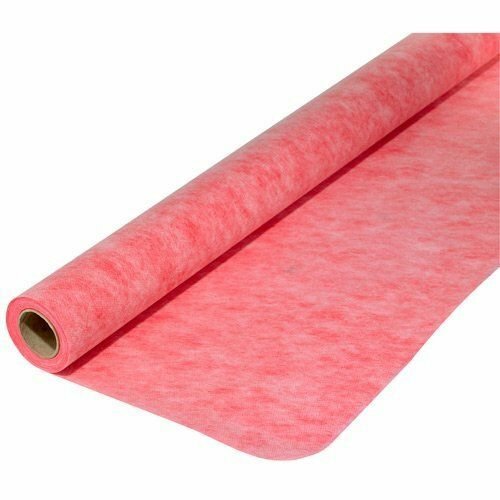 This easy-to-install membrane is fully waterproof and vapor tight. Use in wet areas such as Showers, Bathrooms, Laundry rooms, and for Countertops and Backsplashes Provides a vapor barrier ideal for steam rooms and sauna applications Does not support mold growth Fast sealing for immediate tile installation Apply with thin set mortar under ceramic tile or stone . Prova Mat Waterproofing Polypropylene Membrane - Choose your Custom Size and we will cut it for . Its 3.3 Ft Wide , Length would be customized depending on your SqFt , Membrane Thickness 15 Mil . Brand: SCHLUTER SYSTEMS L.P. | Manufacturer: SCHLUTER SYSTEMS L.P. Product Features: Covered under Sterling's 10 year limited residential / 3 year limited commercial warranty Shower module built of Vikrell Rim design is optimized for both water containment and aesthetics Installs in a three wall alcove configuration Includes matte silver grab bars No caulking required in the seams Modular design provides an easier installation Specifications: Overall Height: 77" (measured from top to bottom of base) Overall Width: 37-1/4" (measured from back to front of base) Overall Length: 48" (measured from left to right of base) Installation Type: Three Wall Alcove Drain Placement: Center Drain Connection: 3-5/16"
Made from solid Vikrell material for strength, durability, and lasting beauty. 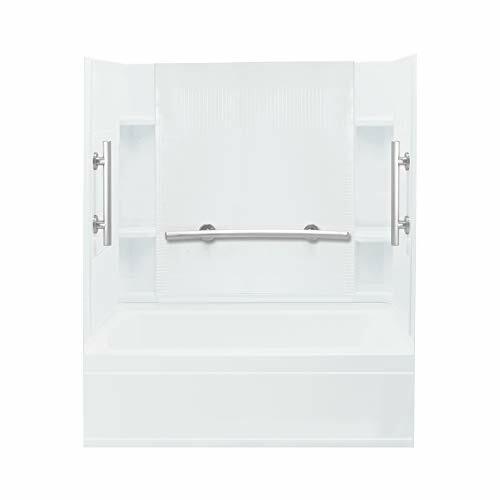 Includes three Sterling Matte Silver factory installed Age-In-Place grab bars: one 80012134 (curved, 33-1/2-in L x 3-1/4-in D) and two 80001024 (straight, 24-in L x 2-7/8-in D). High-gloss finish provides a smooth, shiny surface that is easy to clean and rounded interior space provides more room for the bather. Geometric back wall design adds visual interest while easy to clean. Abundant, recessed storage reduces the visual clutter. Snap-together installation; an audible click lets you know when the walls are properly installed. No caulking required in the seams. Bath walls must be installed with 71161110 or 71161120 bath.